Despite omni-present digital photography and the ability to view photos on your smartphone, there is still a need for physicality of photographs. Sure, there are LCD picture frames, but who wants to rely on batteries and electric outlets for absolutely everything? 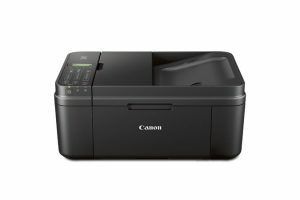 Photo printers are of such high quality now and at such an affordable price point, that to not have one would be missing out on basic convenience and functionality. The printing technology has long ago matured to the point of just offering a high-quality photo prints is simply not good enough. 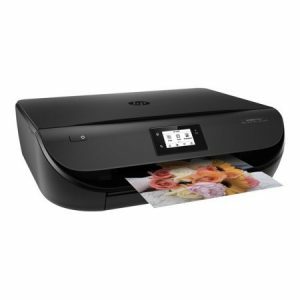 Now, with professional-grade photo printing you can also get a scanner, all packaged into a sleek black enclosure pleasing to the eye – the HP Envy 4520 all-in-one printer. Fantastic price for what you get. Helpful 2.2-inch LCD screen positioned in the center, making all the operations quick and easy. Top-notch design of the printer. Not glossy so it doesn’t serve as a magnet for fingerprints. Duplex, two-sided printing, usually seen at higher-priced inkjet printer and laser printers. Wireless Direct Printing enables effortless connection to mobile devices. You don’t even have to setup a network. HP Instant Ink subscription, although optional, you could save up to 50% of ink cost. It belongs in the category of all-in-one devices, yet it is missing a fax function. Still, the duplex printing more than makes up for it. The printing speed could be higher at 10 pages per minute black, and 7ppm color. Aggressive ‘HPInstantInk’ popup notifications that turn up whenever you use it for printing. HP really, really wants that brand-name ink profits. HP Envy 4520 is a good example of not limiting yourself to buying a photo-printer only, because for basically the same price range, you can get additional features like duplex printing and scanning, while the quality of printouts still remains impeccable. 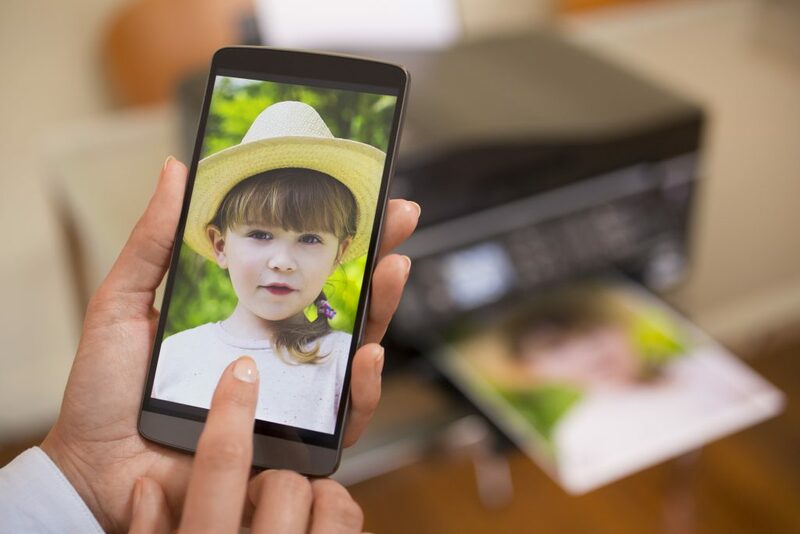 Believe it or not, but for a couple of trips to a fast food restaurant you could instead buy a device that offers you: high-quality photo printing, scanning, photocopying, and faxing. That is what competition in a relatively free market can bring you – the Canon MX492. Compact is relative, but when you account for all the functionality offered, this all-in-one device can certainly be considered as leaving a light footprint. Fully up to par with online cloud storage and sharing services Airprint and Google Cloud Print. Included ink, both black and color, which will get you 200 pages, depending on the selected quality and the density of the content being printed. No two-sided printing. You will have to manually reinsert the pages if you want to save on paper. It has a quiet mode, but it seems to slow the printing speed, and is not really quiet. These ‘features’ should really be resolved by default. Wireless connectivity can sometimes be buggy, and the installation process is not as intuitive as it should be. Although it lacks duplex printing, for everything else you can get – fax machine, photocopier, scanner, printing of documents, invitations, postcards, photos – it is a superb bargain. If you didn’t know any better, at first glance the Canon SELPHY (pun intended) could be mistaken for a modem, it is that compact. As the name suggests, it only has one function – printing photos, and it does it well. You actually have the option of choosing black or white color of the printer. No need to ever visit a professional photo-printing service again; photos are printed crystal clear on a glossy paper thanks to Canon’s sublimation printing technology. You don’t need to have a bulky computer to manage printing; through WiFi you can easily connect it to a mobile device, tablet or smartphone. It supports Apple’s AirPrint, PicBridge, Canon PRINT, and Canon has its own Selphy app. Large, top LCD screen transforms it into a self-sufficient device. You can manipulate portrait orientation, red eyes removal, smoother skin enhancement, etc. 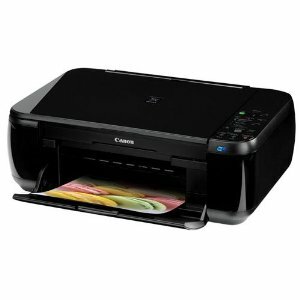 Canon SELPHY CP1200 excels at printing photographs, to the point of being surprising for such a compact device. Combined with small size and easy WiFi through the Selphy app, this is a must-have printer if printing quality photos is all you need while you are on a trip or vacation. 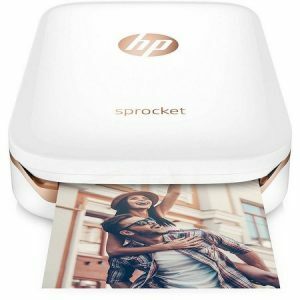 Barely outsizing the photos it prints, HP Sprocket is a remarkable little machine. One would think that with size this small you would heavily compromise on the quality of printouts, but that simply isn’t the case. You can expect the same quality of photos that you would get at any photo service. Ultra-small, it’s probably not possible to make it any smaller than it already is, while producing the same quality of printouts at 2×3 size. Its size complements well with Bluetooth capability and WiFi, including the HP Sprocket App. Sprocket App is competent, unlike many other tacked-on apps for printers. Slightly yellowish tinge when printing certain types of photos. Price. You could get an all-in-one laser printer in this price range, but ultra-portability of Sprocket probably justifies it. Having such a small printer is amazing. It’s like the first time you got a laptop. So much freedom and options you never thought about are opened up. And if you are a frequent user of social media, the integration with Sprocket is seamless. Just be careful to not get carried away or you will be spending more money on ink cartridges than on the Sprocket itself. Not quite ultra-compact as the HP Sprocket, the Kodak Dock is nonetheless one of the smallest photo printers on the market with one special trick – its seamless integration with smartphones. 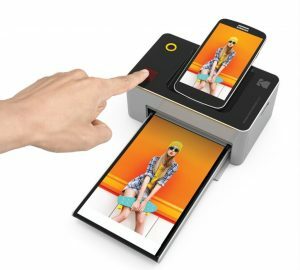 Like you would dock your smartphone (Android or iOS) to a charging station, so too you can dock it with this printer to initiate the printing of vibrant, accurate 4” x 6” photos. Excellent quality of photos; you really can’t judge small devices based on their size any longer. D2T2 Thermal Transfer Technology is employed to ensure no color bleeding or fading. Wide compatibility range: beside Android and iOS phones, the Kodak Dock is also compatible with tablets and digital cameras. You can even print from a regular USB memory stick. Kodak Photo Printer App has a solid collection of filters for a wide variety of formats. Connection with mobile devices is not as stable as we would like. You may need to frequently restart/unplug it for the detection to work properly. Only up to 8 printouts with included cartridge. Kodak Dock is definitely one of the most convenient and portable photo printers on the market. The quality of the photos is on par with professional photo shops, so if people keep buying Kodak Dock they will likely go out of business! The only saving grace for them would be bulk printing, which you cannot count on with this printer. Polaroid is an iconic brand, long associated with instantly developed photos for the old analogue cameras which employed film rolls instead of memory cards. 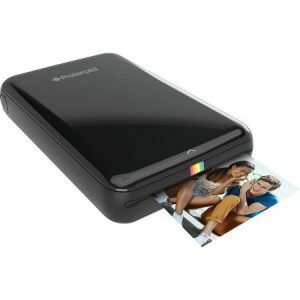 The Polaroid ZIP Mobile Printer demonstrates that they still possess that magic, innovative touch when it comes to immortalizing life’s moments. This tiny printer is the smallest one on the market, and it doesn’t even use ink, but their special Zero – ink (ZINK) technology. The pinnacle of miniaturization, only the size of a medium-sized smartphone, which is enough to print superb 2×3 photos. It doesn’t use ink, so no possibility of smudges. Instead, it employs ZINK paper technology. Supports both major smartphone platforms – Android and iOS (iPhone). The printing speed is slow, at least compared to HP Sprocket. Some pictures need to be edited lighter with your phone, instead with the ZIP app, in order to not print overly dark photos. The ZIP app is functional but not very snappy. However, it does receive regular updates so that may no longer be the case. Doesn’t work with cameras, only with Android and iOS apps. If you want a super-mobile printer that prints first rate 2×3 photos, while at the same time you can carry it in your pocket, then you can’t get any better than the Polaroid ZIP. Nowadays, when even laser color printers are affordable, and the interfaces are very user-friendly requiring just a few clicks or button pushes, it is very difficult to make the case for retail printing services. Are certain that you will need to print something once a year. If you travel a lot, so you don’t have the means to carry around a cost-effective printer for many printouts. If you don’t want to bother with the whole thing: reading printer reviews, installing one, or buying ink and paper. If you don’t have any privacy concerns. ShutterFly – Starting at $0.15 per print, with unlimited storage, and 50 free 4×6 prints when you first join. Huge selection of gifts and accessory prints in almost every category. Membership gives you an option to have your own personalized URL blog. SnapFish – Under Hewlett-Packard, but doesn’t require paid membership. In addition to printing at $0.09 per print, it provides storage, and various formats for printouts like photo gifts, posters, mugs, blankets, clothing, calendars and various other accessories for both home and office. SmugMug – Printing is at $0.19 per print, but with a monthly membership of $4 per month, you get unlimited photo uploads, and your own customizable gallery/website. The plans range from casual to business, covering all your printing and webhosting needs. If you need to print more than a couple of times per year, then it is definitely more cost-effective to do it by yourself, instead of outsourcing it. Inkjet printers are regularly the cheapest while offering outstanding color prints. However, they do not last very long, produce a lot of noise, the page yield per ink cartridge is less than with a toner for laser printers, and they are much slower than laser printers. If you happen to find a great deal on a laser color printer don’t pass it by. 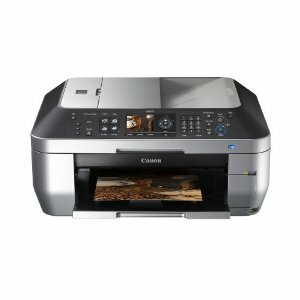 If not, go for the MegaTank printer series from Canon or EcoTank series from Epson. You can’t just use any paper for photo printing. It has to be labeled specifically for photo printing – glossy or matte photo paper. And the larger paper package you buy, the cheaper will each paper sheet be. Toners are used with laser printers and they generally yield more prints than ink cartridges, but this changes significantly if you have a MegaTank/EcoTank printer. Also, if you have subscribed to a manufacturer’s automatic ink refilling service, or if you buy cheap ink from trustworthy third party manufacturers. Be sure to check all your options in order to reduce your printing cost as much as possible. 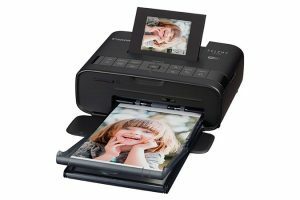 There is still joy to be had in holding physical photos, and we have shown you that you don’t even have to buy a bulky printer, merely one the size of your smartphone will be more than sufficient to get you high-quality photos. And if even that is too much hassle for you, you can always outsource it to experienced online printing services.